3-D Monster: Tom Welling as The Man of Steel! 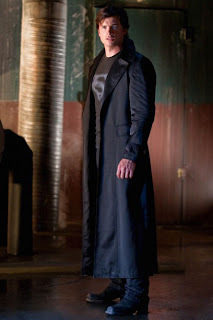 SuperheroHype has posted this photo of TomWelling in the black costume sporting the iconic "S" in the premiere of season 9 of Smallville on September 25. Can't wait!